Berry, and the rest of the gelding’s connections, were relieved to see the $8.8 million earner jump with the field on Friday. “He’s his usual quirky self,” Berry said. “He was very good in the barriers. He was actually bouncing around in there which is usually what he’s like. 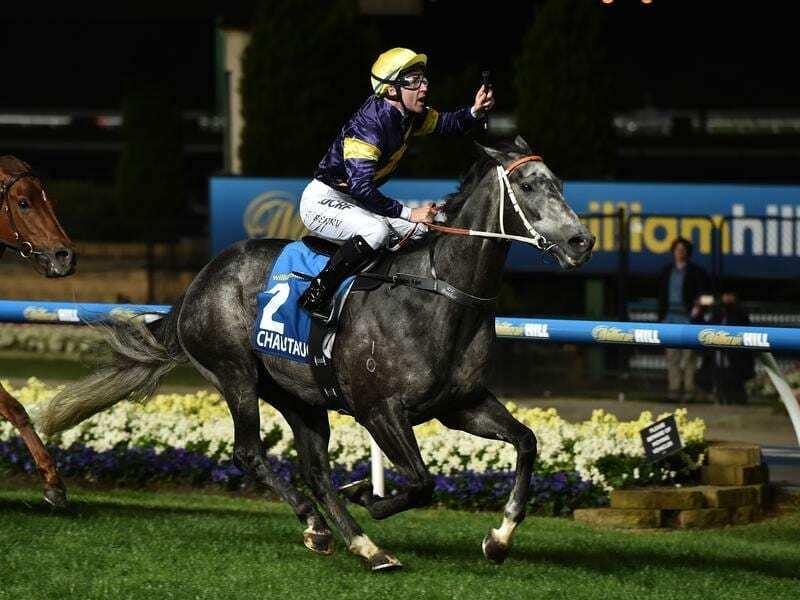 Berry has won five Group One races on Chautauqua and made a special trip back from Hong Kong for Friday’s hit-out as connections left no stone unturned to ensure the sprinter did what was required. “We’re not out of the woods just yet but we’re in a much better position than we were 20 minutes ago,” co-trainer Wayne Hawkes said. “That was the best part about it,” Berry said. “I was just happy to see him jump but then to trial as well as he did, he’s as good as he’s ever felt. “I was actually hoping he would do it for himself,” Hawkes said. “We need horses like him. We need horses like Winx. These are great crowd pullers. Owners want racehorses like this and we want to train them and the public want to see them.